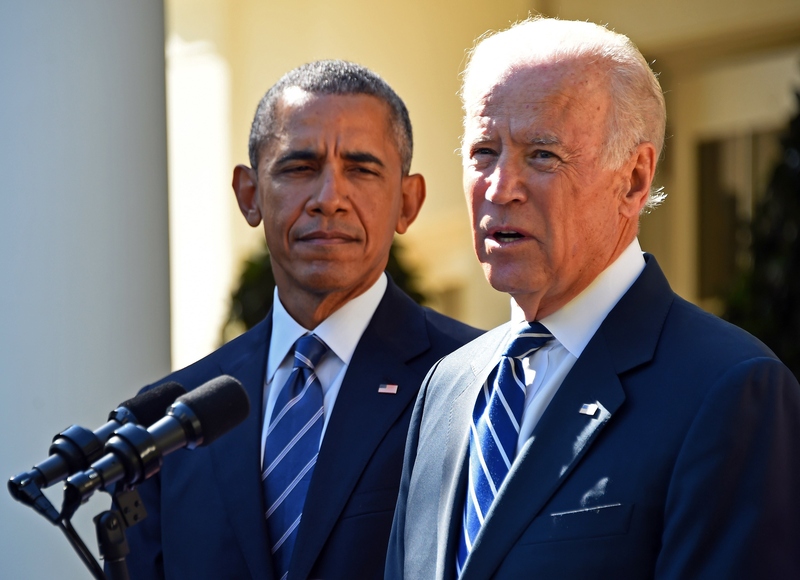 On Wednesday morning, Vice President Joe Biden held a press conference in the White House Rose Garden, where he announced that he will not be seeking the Democratic nomination in the 2016 presidential election. After months of speculation regarding a Biden campaign swirling around coverage of the election, the announcement adds a new finality to who's who in the Democratic field. Biden cited the ongoing grieving process for himself and his family following the death of his son Beau as the primary reason he will not launch a campaign. The speech was at the same time moving and authoritative, as Biden spoke about his son's death as well as the direction he'd like the Democrats in Washington to take. Some of the best lines from Biden's announcement came in the form of directives to his party. It was striking that in not announcing a campaign, Biden appeared to lay out a political platform that very much could have belonged in a campaign announcement speech. Biden was clear about his goals for his remaining time as vice president, and what he'd like to see from Congress going forward. He laid out a clear list of what his priorities are, and in so doing seemed to be giving Congress a little talking-to. Here are some of the best lines from the vice president's speech Wednesday. I believe the huge sums of unlimited and often secret money pouring into our politics is a fundamental threat to our democracy, and I really believe that. I think it’s a fundamental threat, because the middle class will never have a fighting chance in this country as long as just several hundred families, the wealthiest families, control the process. Biden was adamant that bolstering the middle class would be the best way to stabilize and improve the economy. We need to commit to 16 years of free public education for all of our children. We all know that 12 years of public education is not enough. As a nation, let’s make the same commitment to a college education today that we made to a high school education 100 years ago. Biden was also concerned with the educational welfare of American students, and called for the government to commit to providing a free college education. We have learned some very hard lessons from more than a decade of large scale, open-ended military invasions. We have to accept the fact that we can’t solve all of the world’s problems. We can’t solve many of them alone. This quote is quite compelling coming from the vice president. There is often a rhetoric from both parties that the U.S. is the most powerful nation in the world, and asserting that the U.S. is incapable of solving certain global problems is a step outside the norm. How does this country function without consensus? How can we move forward without being able to arrive at consensus? Four more years of this kind of pitched battle may be more than this country can take. We have to change it. We have to change it. I don’t think we should look at Republicans as our enemies. They are our opposition. They’re not our enemies. And for the sake of the country, we have to work together. In a clear critique of statements made by Hillary Clinton in the first Democratic debate, Biden insisted that both parties must cooperate to move legislation through Congress. If I could be anything, I would have wanted to have been the president that ended cancer, because it’s possible. Discussing his personal ties to cancer (the disease his son died of), Biden urged the U.S. to commit to curing cancer in the foreseeable future.